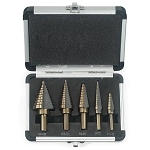 Home > Bits > Step Drill Bits > Step Drill Bit 9/16 in.-1 in. Step Bit 9/16 in-1 in. Step Drill Bit 9/16 in.-1 in. Like having 8 drill bits in one. 8 sizes from 9/16 in. to 1 in.. Features a non skid tip. Step Drill Bit 1/8 in.-1/2 in. 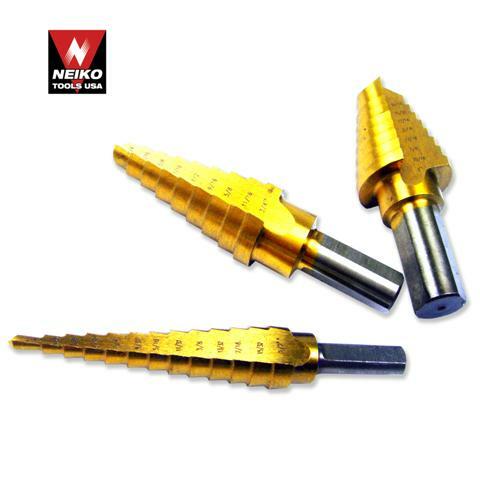 Step Drill Bit 1/4 in.-3/4 in.